Let your little scientist explore the mysteries of the galaxy with this fun set from Discovery. This fizzing dig set includes three wonderful galactic gemstones and three excavation tools. It is sure to be a perfect holiday or birthday gift for your young genius. WARNING: This set contains chemicals that may be harmful if misused. Read the information in the instruction manual. If splashed in the eyes, or in skin, flush thoroughly with water. Get medical attention immediately if splashed in eyes. Not to be used by children except under adult supervision. Not recommended for children under 12 years of age. Discovery™ Galactic Fizzing Dig is rated 5.0 out of 5 by 1. Rated 5 out of 5 by Craftymom1234 from Not messy like alot of dig kits! 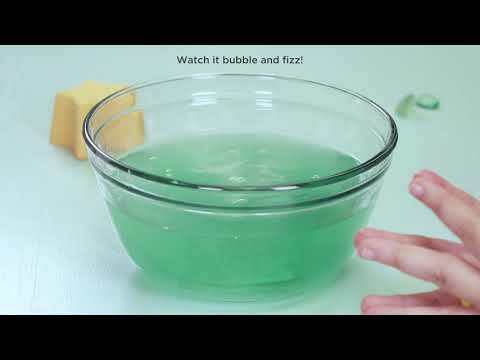 My kids loved that you could skip the digging part and just fizz away like a bath fizzy! !